Friesen Press, USA, 2014, Hardcover, Softcover and Kindle (e-book) editions, 94 pages, Not Illustrated, ..............ISBN-13: 978-1460242865. The Elvis book library is a particularly eclectic one. A small, but growing genre is books based around ‘new age’ philosophies and experiences involving Elvis. As a niche market new age releases have a passionate readership and while most titles are arguably unknown to the majority of Elvis fans that in no way minimises their potential significance or insight for interested readers. The genre includes titles such as BLUE STAR LOVE From An Amazing Heart of Grace (The Spiritual Life & Mystical Heritage of a Historical Icon) (Maia Chrystine Nartoomid), Elvis His Spiritual Journey (Jess Stearn) and ETERNAL LIFE IN HEAVEN: ELVIS PRESLEY AND OTHERS (Adam Toronczak). 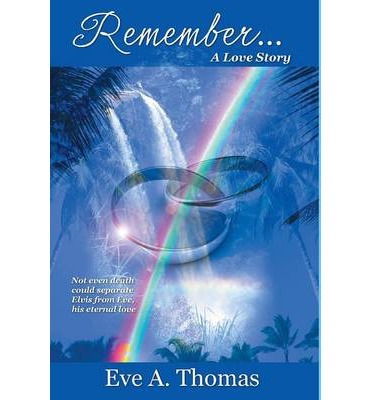 In 2014 the latest addition to the 'new age' genre is Eve Thomas’s engaging and thought provoking memoir, Remember...A Love Story. Part biography and part revelation it is certainly not your usual book written around Elvis. For readers not familiar with the concept of new age spirituality, at its core is the concept of our world being in a state of moving to a ‘new age’ (as symbolised by the hit song Aquarius/Let the Sunshine In by the 5th Dimension) and the underlying principles of self-spirituality and authority of the self – these new age beliefs contrasting with traditional spirituality, which experienced through religions, is based on the fundamental belief in one or more gods. Ms Thomas is a new age devotee with many years of experience and practice. Her memoir reflects a blending of her personal story and her communication with those who have passed over, especially her interaction with Elvis. As Eve describes in Remember...A Love Story, she first heard the song of Elvis’ soul on June 5, 2006 and this led to ongoing communication between them which culminated in.......well, I will not spoil the ending of what is a very intriguing and emotionally honest book. The narrative is driven through a number of core elements. One is the revelatory nature of past life regressions. Eve Thomas colorfully brings to life her past lives and what an interesting experience they are. From her ‘Garden of Eden’ like first regression, to being a 25 year-old male elephant trainer, her story is far from prosaic. The other core element is that Elvis and Eve’s personal growth evolves to the point where their Twin Flames (souls) are in alignment (match each other). The significance of this synchronicity is that their energy is shared and experienced in a parallel way, for example as Eve loves, Elvis loves. Along her journey to greater spiritual awareness Eve discovers several fascinating experiences in her life including that she had been a passenger on the ill-fated maiden voyage of the Titanic and in another life a male elephant trainer in Bombay. Well-known names appearing in the story include George Clooney, Cindi Crawford, Don Cheadle, Sammy Davis Jr. and Marilyn Monroe as well as iconic new age symbols such as the Hopi Elders. The author also intrigues the reader with potent events in her personal development such as her search to determine who President Kennedy (JFK) was incarnated as. She also reveals who Elvis was a reincarnation of. Other interesting topics include an anecdote about how Eve decided on the title for her book, the amusing story of how she became known as the Blue-Nose Healer and her quest to solve the Kentucky Riddle. 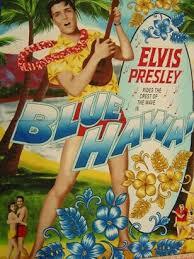 And by interweaving elements such as numerology (think Blue Hawaii as Elvis’ 8th movie and that the name “Elvis” equals 8 in Hebrew) into the story, Eve Thomas continually offers interesting and challenging propositions as she traverses her path of enlightenment from learning of her twin soul and sharing many lives and experiences with Elvis. For instance, Eve discusses a connection between a Gray Line Tours bus driver and Elvis’ movie It Happened At The World’s Fair and reveals how in one of her past life regressions she had a particularly emotional experience seeing her birth/death as Elvis’ stillborn twin brother, Jesse. Eve Thomas' prose is easy flowing and, despite its sometimes obtuse theoretical foundation, easy to understand. It engages its reader through an evocation of color, depth and emotion which allows the titular theme of the story to develop and reveal an eternal love. The ‘love affair’ is nicely threaded throughout the narrative. It is very likely Elvis, if he was still alive, would appreciate Remember...A Love Story. It is well known that Elvis was a spiritual person with an open and inquisitive mind who, in his search for meaning, personal growth and happiness, explored a very wide range of religions and alternate philosophies. 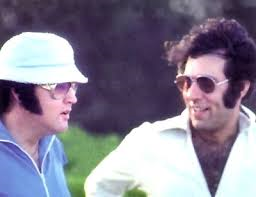 Instrumental in Elvis’ search was the person generally regarded as Elvis’ spiritual mentor, Larry Geller. Larry’s 2008 book, Leaves of Elvis’ Garden The Song of His Soul, is regarded as one which offers a much different and revealing insight to who Elvis was than other ‘insider’ memoirs. Not surprisingly, Larry plays an important part in Remember...A Love Story. Not all fans will accept the various new age theories and practices discussed in the book, but some will. Regardless of one’s view, Remember...A Love Story offers an very different perspective on the Elvis legend and does so in the context of the reader knowing that Elvis, during his physical time with us, was desperately searching for real meaning in his life. That there is an underlying commonality between traditional religious beliefs and alternate new age beliefs is exemplified by the author’s discussion of Biblical issues and the inclusion of biblical figures like Moses (“the basket on the Nile”) and Jesus the healer. And speaking of Moses his biblical brother was Aaron, and of course this was also Elvis’ middle name – this correlation is explored in Remember...A Love Story. Undoubtedly, due to its challenging nature, Remember...A Love Story will surprise, please, divide or infuriate fans depending on their personal view around spirituality, particularly new age spirituality. If it achieves these responses, that is a positive, because it means fans of divergent viewpoints will have not only read Remember...A Love Story, but also that they will have internally processed what has been written and (potentially) externally expressed their reaction. Eve Thomas’ book will have had an impact, albeit a divergent one for individual readers! The book includes a multi-page Works Cited section which serves as suggested useful further reading. Verdict: In Remember...A Love Story Eve Thomas’ inner voice channels an energetic and intriguing story. For new age believers, the author has written a welcome, insightful and illuminating account of her personal spiritual journey and particularly her spiritual journey with Elvis. I suspect that for fans who are non-religious and fans who believe in religious, god driven spirituality, Remember...A Love Story will be conveniently and too easily dismissed. In my opinion, harnessing the belief in a god or gods as a mode to achieve personal growth is fundamentally little different to a belief in the self.......both involve an underlying objective for the individual to undertake a path of development and search for/find greater understanding, peace of mind and happiness. Perhaps a more analytical consideration of the concept of spirituality would allow ‘non-believers’ to better appreciate the sentiment and intent of the author’s story. Sadly, the 'politics around spirituality' will likely derail any such balanced consideration. If that is the case it is a great pity! Eve A. Thomas lives in Calgary, Canada and is an expert in a range off new age philosophies and various healing modalities. Eve’s path to spiritual growth and greater understanding involved Angelic Healing, Crystal Consciousness and HUNA Hawaiian Shamanism. Eve Thomas first heard the song of his soul on June 5, 2006 – and he’s been communicating with her ever since. The King of Rock ‘n’ Roll, that is. Remember… is a different kind of love story. Eve and Elvis have shared many lives together. They’re “Twin Flames” – souls who are together in this universe to evolve their souls into wholeness and eventually match the frequency of their Twin Flame. As Eve loves, so Elvis loves; their energy is shared. In this compelling memoir, Eve gains deeper spiritual insight through numerology, meditation, and past life regression. As she moves further along her path, she cultivates her gift of communication with those who have passed over, all the while experiencing extraordinary synchronicities with the King himself.